Did the new It Toy live up to the dream? 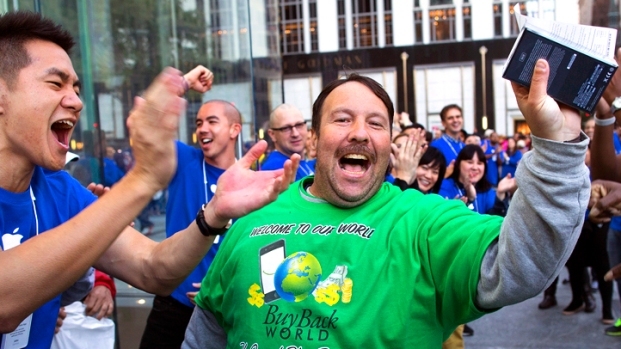 The new iPhone landed Wednesday, bringing with it the weight of a nation's hopes and dreams. Some speculated that the new toy could bump up GDP by .5% (while one Pulitzer Prize winner said our money would be better spent on infrastructure), but most folks had more pedestrian concerns, wringing their hands over how much the new iPhone would weigh, how much it would cost, how fast it would be… heck, what it would be called. New Look: A metal plate on the back? To every iPhone user with a spider web of cracked glass radiating from a corner of the glass on the back, this would come as great news--and it is! The white and black versions both come with an aluminum back, the former sporting a silver finish, the latter with slate, giving each a two-tone look. The plastic bumpers you may have heard about were nothing more than a dream. Size Matters: It seems like only yesterday that phones were getting smaller and smaller, now they're sandwich plates. 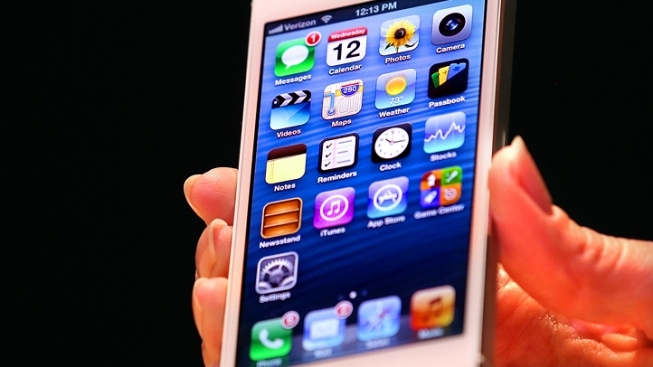 The iPhone 4S is 4.5" x 2.31" x .37" and weighs 4.9 ounces. Rumor had it the new iPhone would have a bigger screen, while slimming down, and sure enough the iPhone 5 is .3125" thick, a reduction of 18%, weighs 3.95 ounces, down 20%, and has a 4-inch screen with a 16:9 ratio. Your old apps will still work on the new screen, but will show with letter boxing in deference to the new ratio. The new, bigger screen has created enough room for a fifth row of apps. Chip: Everyone always wants everything to work faster, and the chip is what makes that happen. The iPhone 5 has an A6 chip, making the CPU and graphics twice as fast. Wireless Charging: Those weird conductor pads are kind of cool, though we hardly think they're a gamechanger, but if you wanted to charge an iPhone on one, you're outta luck. The iPhone 5 only charges the old fashioned way. Map App: Apple let it be known they were dumping Google's GPS app, and today they unveiled their own, which works in landscape and portrait, provides 3D street-level imaging, and turn-by-turn directions. Battery Life: In 2010, Apple filed a patent for a new smaller battery with enough juice to keep an iPhone working for days on end. Well, kinda... the new battery gives you up to 225 hours of standby time and 8 to 10 hours for talk, browsing, music or video. New Connector: You may have noticed that iPhone charger cords and battery-pack cases have been selling at rock bottom prices. The fire sales were no doubt caused by rumors that the new iPhone would render the old stock of connectors obsolete, and sure enough the new connector is the size of a micro-USB plug. Apple delivered a 9-pin "Lightning" connector, as promised, which is 80% smaller than the old one, and, even better, is reversible. And god bless, they've delivered adapters that go from a lot of your old accessories to your new connectors. New Jack: One allegedly leaked version showed the headphone jack had been moved to the bottom of the phone, but that doesn't appear to be the case, which it has been, a move made possible by the new smaller connector. Real 4G/LTE: Apple has claimed for some time now that their phones operate on 4G, but that term doesn’t really mean anything. The reality is that iPhones have been working on a network that's slightly better than 3G, but not quite up to the industry standard of 4G LTE. With the latest generation of iPads working on 4G LTE, and all the major carriers vowing to embrace the technology, the expectation was the iPhone 5 would support LTE, too. The iPhone 5 doesn't disappoint with "ultrafast wireless" and LTE. T-Mobile: With the carrier actively courting people with unlocked iPhones, it seemed unlikely there's a deal in place between the two companies, and there wasn't. Sad trombone. Camera: The iPhone 4S has an 8-megapixel camera, and takes video at up to 30-frames per second, which puts it on par with the industry, and the new iPhone has decided to stand pat. Most of the energy went into making the old camera fit into the slimmer chassis. Apple did add a panorama function to the phone, and you can take photos while you shoot video. Storage: The iPhone 4S comes in 16-, 32- and 64-GB models, and some thought the 5 might go as high as 128-gig, but that did not come to pass. NFC (Near field communications): Apple has been filing patents for NFC apps that would allow people to user their iPhones to manage travel reservations and shop for goods, but it was one of the few bells the iPhone doesn't ring. No shirt, no shoes, no dice. EarPods: Everybody hates the old Apple earbud, and there was lots of talk they'd finally replace them. They did, and gave them a new name, as well as multiple ports. But it appears to still be made from the same hard plastic that jumps from your ears at the slightest provocation. iTunes 11: A new version was being whispered, and here it comes. Don't they send updates of this thing hourly? New iPods and Nanos: Apple often likes to offer a small appetizer before getting to the main course, but this year they offered them as a dessert course. The new Nanos come in a rainbow of colors, have Bluetooth, bigger screens, pedometers built-in, photo and video capability, as well as an FM tuner with DVR-style pause and rewind. The new iPod touch has a bigger screen, is thinner and lighter with a new aluminum back, faster chip, the new headphone jack, camera... The new Nano is $149 (16GB), and the new iPod Touch is $299 (32GB) and $399 (64GB). Release Date: 9/21 was a common guess, and it was correct! Pre-order begins on the 14th. Cost: $199 for 16GB. $299 for 32GB, $399 for 64GB.